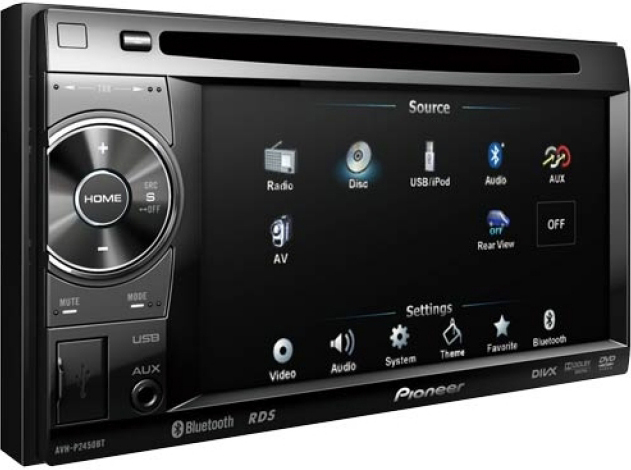 As times are changing a lot of us are now leaning towards double-din head units with DVD players. Some of us are doing this so they can entertain their children while on long road-trips, others because they need/want reversing cameras without the need of an extra screen. I am going in this direction myself, well more so because I seem to have a fetish for things with touch-screens. 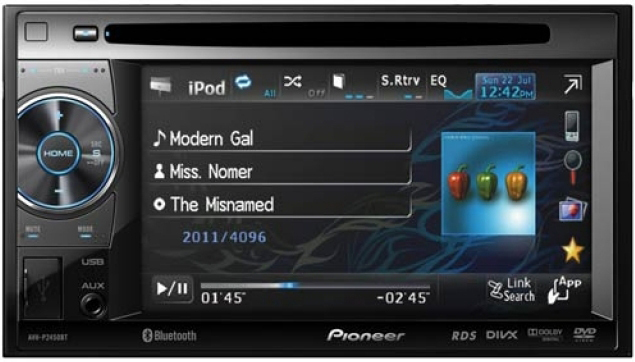 The Pioneer AVH-2450BT has all of this covered! 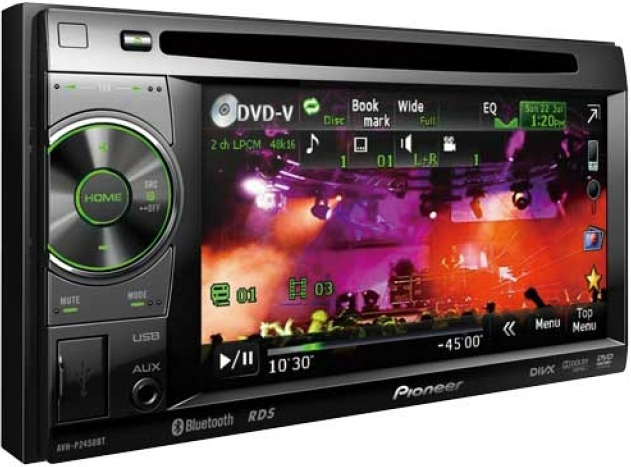 Not only is this unit a DVD player with a 5.8″ Touch Panel, front AUX and front USB. It also has the ability to add a reversing camera for safety and another monitor to keep the people in the back seat entertained. Like most Pioneer BT units it has Parrot built in for hands-free and audio streaming, if you have an iPod/iPhone it can be controlled by either the unit or iPod/iPhone and charges while doing so. You can also customise the menu’s and screen-savers till the sun goes down, with 5-Display colours and 112-Key colours and also use your digital photos as a screen saver or wallpaper which is a very cool option. The feature that really stands out for myself is that it is Steering wheel Remote ready* and has the Wired Remote option* so that people in the back can have some control over the music while the driver is concentrating on driving. *Steering Wheel Remote adapter and Wired Remote Sold separately.